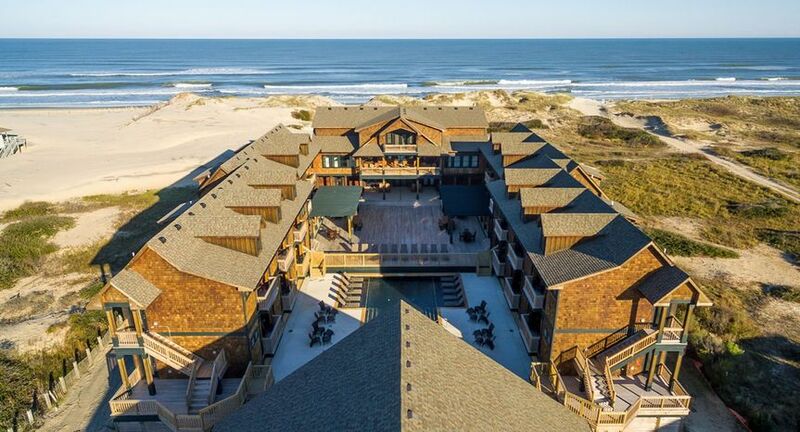 Extraordinary in every way, this seaside retreat is the perfect place for your next vacation, event, or reunion. 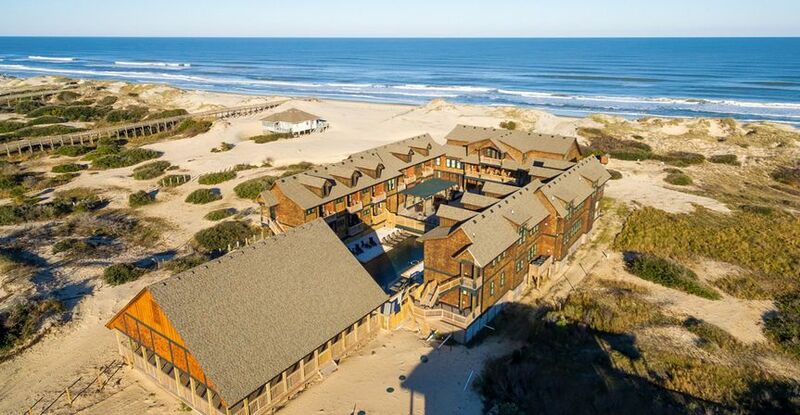 Guests will experience the unbridled beauty of Corolla’s unique 4x4 beaches, completely untouched by commerce, and arguably the most naturally breathtaking landscapes of the eastern seaboard. 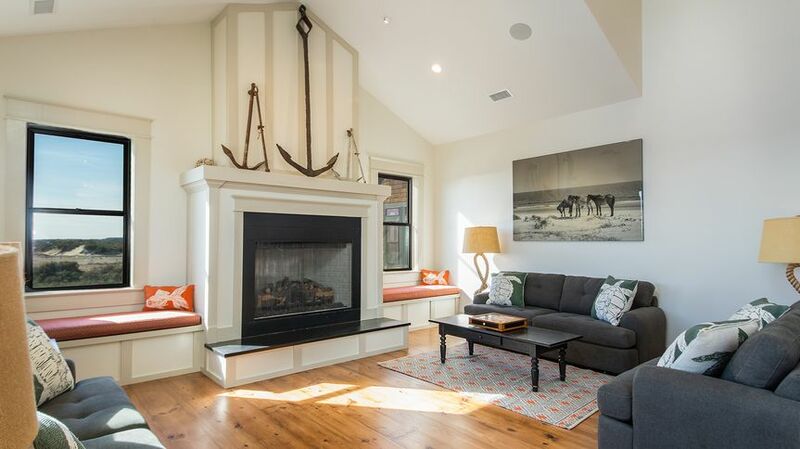 And while this home is secluded in the best way, it also offers a convenient location, less than 2 miles from the paved road, allowing for easy access to the quaint shops and restaurants of Corolla Village. The estate offers a beautiful home with two guest wings, and boasts a large media room, bar, dressing room, east and west facing porches, dining area seating over fifty people, and a well-appointed kitchen facility. The third level of the home is private and solely dedicated as a grand suite. 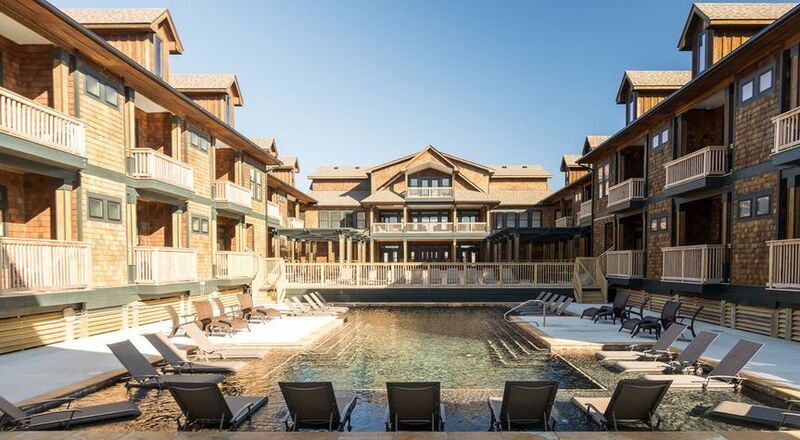 A balcony overlooks the courtyard and pool from this floor, and is a truly spectacular place to catch a renowned Outer Banks sunset. From the main house, two wings are connected by enclosed hallways. One wing has 12 master bedrooms, while the other has 11, each amply comfortable and appointed with distinctive accents. The pool complex, which is the perfect place to sunbathe on a warm day or congregate in the evening, is the epicenter of the estate, and a great place to gather during an event. Just beyond the pool, an expansive covered pavilion lies at the foot of the dunes. 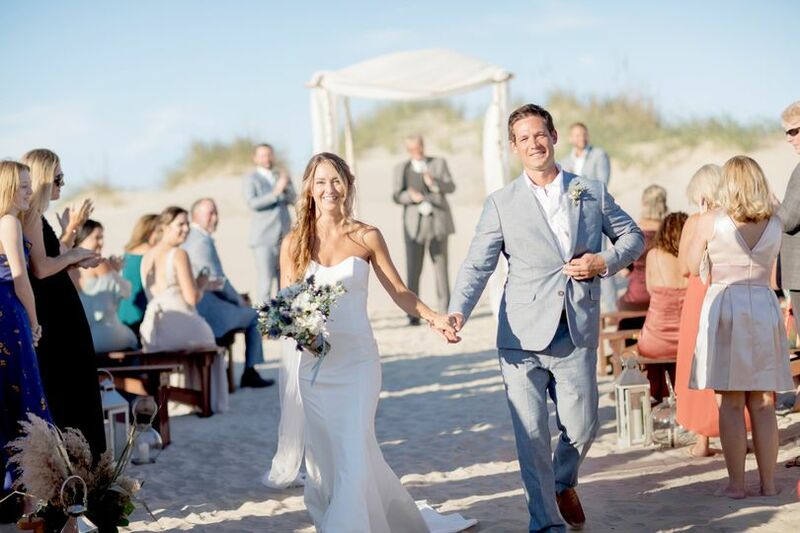 This large, open area provides a built-in weather backup plan, eliminating the need for an event tent rentals and providing spectacular photo opportunities. The Chesapeake features the latest in WiFi technology. With no faster internet on the Outer Banks, new fiber optic WiFi will operate at speeds up to 100m upload and download. Allowing for all of your devices and gaming needs to be met at lightning speeds, making this home the perfect choice for corporate retreats and large events. The Chesapeake also has a state of the art water filtration system so the water is as clean as bottled water! We are not sure where to begin with our review of The Chesapeake! 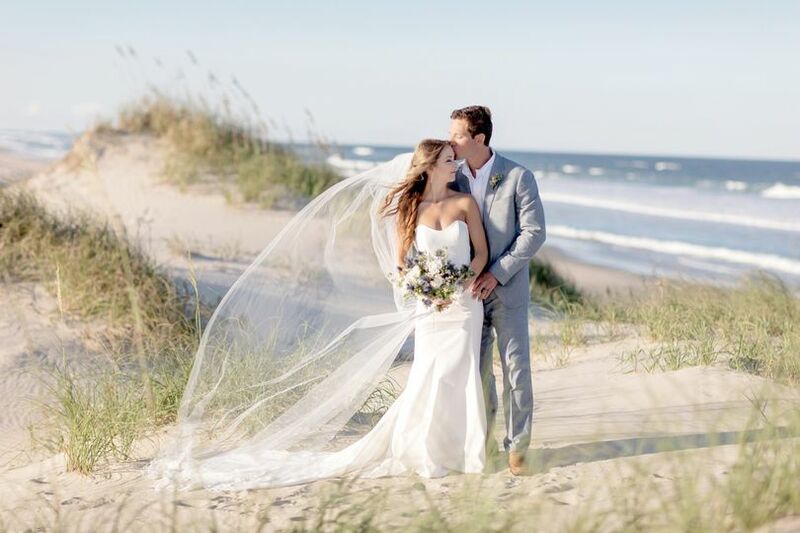 Being from the Outer Banks, we considered venturing outside of the area, but after looking at countless destination venues online, we decided to take a drive and look at some of the local Outer Banks wedding venues. After spending much of the day looking at venues, we decided to stop by “The Chesapeake”, which was still under construction at the time. As we walked onto the front porch to peak through the windows, we were greeted by wild horses in the front yard. At that moment, we knew this incredible home was the perfect location for our wedding. During all the months leading up to the wedding, The Chesapeake made whatever arrangements necessary for us to visit the home with our vendors to make and finalize our plans and gather layouts, which was a tremendous help in making our wedding week run flawlessly. 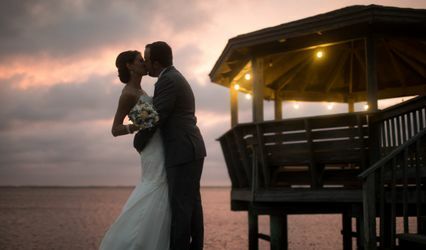 When we arrived at The Chesapeake for our wedding week, it felt like the first time we visited and we were yet again blown away by this venue. We held all of our pre-wedding events at the house throughout the week and it was the perfect setting for all of them, with enough space for each event to feel unique. All of our guests were amazed at their accommodations, and they loved the privacy and comfort that their rooms provided. The downstairs bar, hot tubs and pool were the common hangout spots, and the wild horses made an appearance just about every day. The house was complete with necessities, and the decor was exquisite. We finished off the week with our wedding on Saturday. 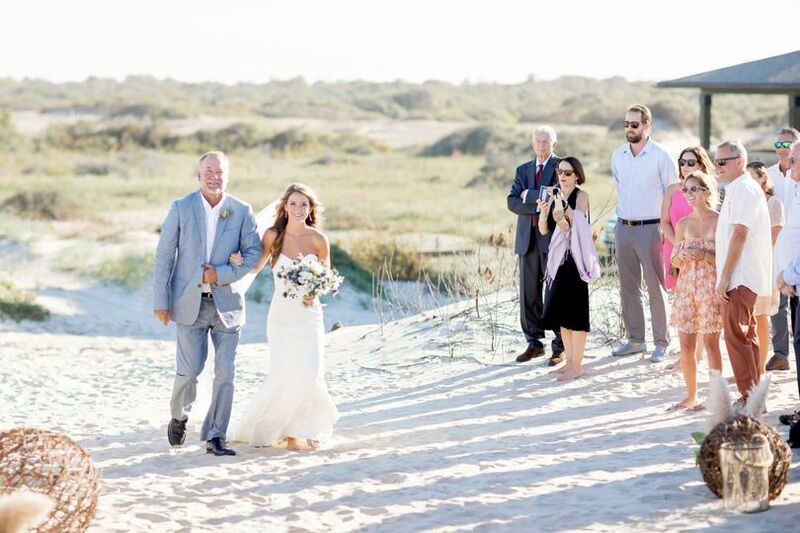 Our ceremony was in the dunes in front of the house, we held our cocktail hour on the terrace, and we held the reception in the pavilion, which provided the perfect flow for our guests. 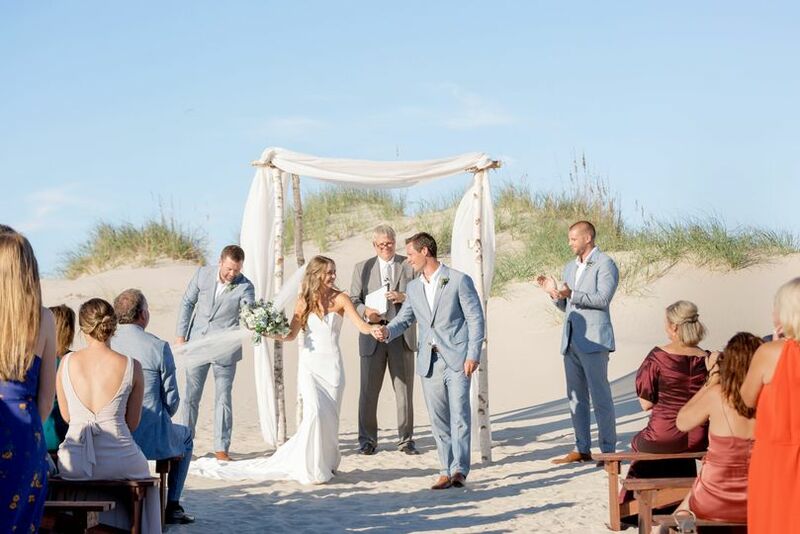 It was an experience of a lifetime for everyone involved and nearly two months later, we are still being told that it was the best wedding venue our guests had ever attended. The venue exceeded all of our expectations and had everything we could have ever imagined. Thank you John and Elizabeth for such a beautiful location and such a beautiful venue. The incredible setting will be a memory we will cherish for a lifetime! 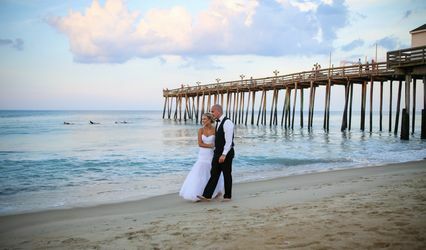 The week long destination wedding at the Chesapeake provided an outstanding venue for an amazing wedding. The design of this property is so well laid out and tastefully decorated making it easily customized for each couples wedding theme. We cooked and catered all week and found the kitchen amenities more than accommodated the informal and formal meals. It is a chef's dream kitchen. The versatility of The Chesapeake enabled us to have a self contained wedding week that included cocktail hours at the magnificent bar, rehearsal dinner and brunch in the dining room and the outside pavilion was transformed into an amazing wedding venue for the ceremony, reception and crazy fun dancing. 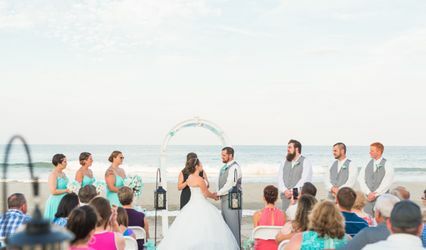 All of the vendors had a great experience working at the Chesapeake to provide the bride and groom and their families with a memorable life experience.